Tramadol is a widely prescribed orally administered pain relief medication that works against moderate to severe pain. The drug is known for its high level of efficacy and wide range of possible uses. It is deemed effective for a large variety of pain-related conditions because of its effects on the opioid receptors, which is the origin of pain sensations that travel throughout the body. What tramadol does is bip the pain at the bud. Despite the known efficacy of the drug, there are several precautions and warnings that patients who wish to take tramadol should pay careful attention to. Doctors and patients should carefully assess the benefits and risks of the drug. One of the possible risks is that of drug interactions wherein tramadol reacts with another drug the patient is taking and this causes negative or even harmful effects on the body. Sometimes, having to take two or more drugs together becomes unavoidable if there are many conditions that need to be treated. But drug interactions should be carefully avoided to ensure the safety of the patient. There are several online databases that list down an almost complete list of drugs that are checked in combination with tramadol. As of now, records show that a total of 580 drugs, which are represented by 3,322 brand and generic names, can interact with tramadol. This number isn’t surprising since other pain medications have greater numbers of possible interactions. However, a great majority of the interactions are major interactions, which means they should be completely avoided and should not be combined with tramadol. Tramadol is one of the pain medications with the highest number of major interactions at 332. Some of these major interactios occur with acetaminophen combined with aspirin, codeine, phenylpropanolamine, butalbital, caffeine, chlorpheniramine, hydrocodone, oxycodone, pentazocine, propoxyphene, phenylephrine, dihydrocodeine, pyrilamine, and/or guaifenesin, plus each of these individual drugs as well. Other drugs in the same category include Appecon or phendimetrazine, Fioricet with codeine, Execof, fluvoxamine, methylphenidate, morphine, Naldecon, Paxil, Phentercot, Prozac, Redux, Robitussin, St. John’s Wort, Tequin, Wellbutrin, Xylocaine, Zyprexa, and several others. Some of these major interactions can heighten the risk of seizures, which is closely linked to tramadol. There is also a high number of moderate interactions associated with tramadol. Some of these include 12 Hour Cold, 40 Winks, as well as acetaminophen combined with dextromethorpan, brompheniramine, dexbrompheniramine, doxylamine, and/or diphenhydramine. Other commonly used drugs that should be avoided when tramadol medication is underway include Alka-Seltzer Plus Cold, Alka-Seltzer Plus Cold and Cough liquid formula and gel formula, Flu formula, Day and Night Cold gel formula, Alka-Seltzer PM, All Day Allergy, All Nite Cold, Antispasmodic, Fioricet, Norvir, Norgesic, Pharmagesic, phenobarbital, Phenyl, Requip, Robitrrusin Allergy and Cough, Robitussin Cough and Cold Long-Acting, Robitussin Night Time Cough and Cold, Soma and Soma Compound, Tricodene, Tylenol Allergy formulas, Tylenol Cold, Tylenol Head Congestion Day and Night/Nighttime, Tylenol Cold Multi-Symptom Nighttime caplet and liquid, Tylenol Sinus, Tylenol Sore Throat, aVicks Children’s Nyquil, Vick’s Formula 44 Custom Care Cough and Cold PM, and several others. There are only 3 known minor interactions, namely quinidine, evening primrose, and a combination of bilberry, evening primrose, and flax. This is far from a complete list. More extensive lists are available and you can even access interactions checkers, programs that allow you to input the name of the drug you are checking so you can see whether it appears on the list of tramadol drug interactions. Out of the major drug interactions, those most commonly reported are Cymbalta or duloxetine, Flexeril or cyclobenzaprine, Lexapro or escitalopram, Seroquel or quetiapine, Vicodin (combination of acetaminophen and hydrocodone), and Zoloft or sertraline. The most common moderate interactions are Ambien or zolpidem, Celebrex, Lyrica, Neurontin or gabapentin, and Xanax or alprazolam. Another common interaction, although this does not involve another medication, is the interaction between tramadol and alcohol or alcoholic beverages. Addiction, frequent consumption, and acute alcohol intoxication should not be mixed with tramadol medication. A certain number of diseases also prevent some patients from benefiting from tramadol. If you have any of these diseases, it is not safe for you to take tramadol. These diseases include liver disease, renal dysfunction, seizure disorders including epilepsy, intracranial pressure, acute abdominal problems, and respiratory depression. The best guard against drug interactions caused by tramadol combined with other drugs is a proper prescription from a doctor who knows all your medications and is familiar with your medical history. 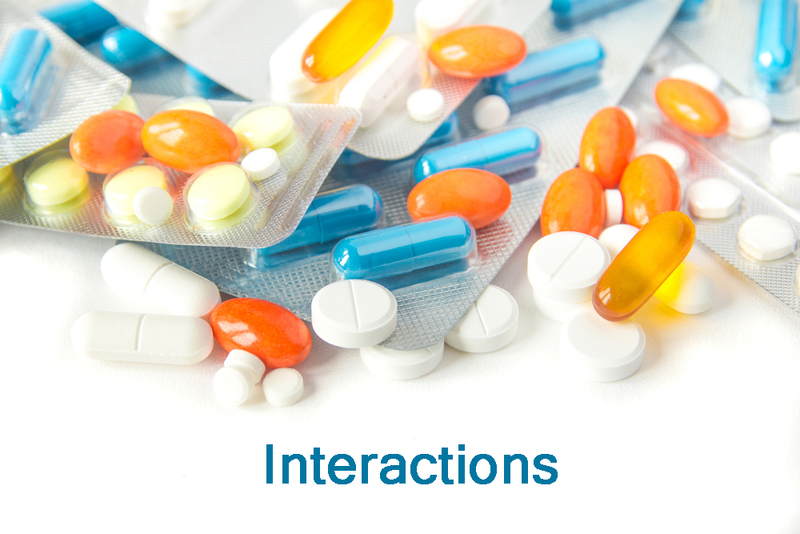 Your doctor can be responsible for ruling out the possibility of drug interactions. The patient’s role is to make sure not to take any new drug while medicating with tramadol.